WINTER PARK, Fla. - The Winter Park Police Department is rolling out a new license plate recognition software program on Oct. 1 to make sure parked vehicles are adhering to the posted time limits. Residents and visitors said finding a parking spot in downtown Winter Park isn't always an easy thing to do. "Sometimes it's easy and sometimes it's hard. It just depends on the time and the weekends, especially Saturday," visitor M.J. Nazari said. City officials heard about the parking problems and now they are trying to find a solution. Strategy sessions were conducted last year to figure out how to improve parking in Winter Park. A spokeswoman for the city of Winter Park said the software is just part of the bigger picture to better manage parking in downtown. "People park here and they just leave their car all day. I mean, I'm guilty. I've done it," resident Shirley Stamper said. One solution to the parking problem is using license plate reading technology to enforce downtown parking restrictions. A parking enforcement officer will be equipped to efficiently monitor how long a car stays in one parking spot. One parking vehicle will be outfitted with the $35,000 technology. The license plate reader cameras will scan the license plates of vehicles parked in spots with a time limit. The time and location of the car will feed into their system, which will alert the parking enforcement officer when the time has expired. 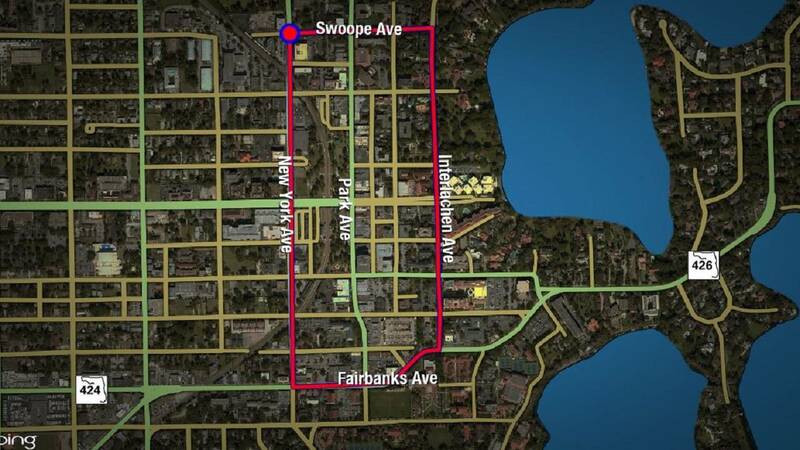 The new parking enforcement procedures will focus on the downtown business district, which includes Interlachen, Fairbanks, New York and Swoope avenues. This map shows where parking enforcement is taking place in Winter Park. Cars are expected to relocate to a new parking spot at least 500 feet away before their time expires, to avoid a $25 citation. Paid public parking garages nearby are available by the hour or day. Officers will be issuing warning citations until Oct. 1. City officials said this will increase the number of parking spots available during the day, but some people worry it will hurt downtown businesses. "If I've only got to be here for three hours, that would definitely limit me. Maybe I won't do lunch here, maybe I won't do some shopping," Stamper said. For more information about parking near Park Avenue in Winter Park, including maps and locations, click here.